Add some automation to your lighting system with this basic starter kit from smart lighting giant Philips Hue. With a Hue bridge and two white bulbs, you have everything you need to get your lighting system started. You can then customize your system with additional Hue Color, White Ambiance, or White bulbs. The Google Home Hub and Philips Hue White Starter kit is the quintessential combo for setting up your smart home. With easy installation and great compatibility, you will be enjoying the features in a matter of minutes. With the Google Home Hub, you can not only manage all your smart devices but it also offers a high quality display for showcasing your photo albums or streaming videos. When it is paired with the Philips Hue White starter kit, it lets you control the lights in your home by simply using your voice. More than just a voice assistant:The Google Home hub is an inbuilt voice assistant with a 7 inch display screen, designed for your smart home needs. It works as a high quality digital picture frame, where you can pick specific photo albums from Google photos. It also supports streaming services and you can play your favourite track or video, with a voice command. Ambient EQ with 16 million combinations:Google Home hub automatically detects and matches its light and color settings, to blend with the room it is placed in. During bedtime, it dims the brightness and color settings to match the darker lighting in your bedroom, helping you sleep better. Multi connectivity and adaptability:The Google Home hub is compatible with a range of smart devices and brands, allowing great connectivity for your smart home. It works with Android, iOS, Mac, Windows and Chromebook. Control home lights, set a mood with your voice:Once the Philips Hue white lights are connected to the Hue Bridge, you can pair them with the Google Home Hub and control the lights using just your voice. With simple voice commands, you can turn your lights on and off, dim them or even set a light scene. 50,000 shades of white:With over 50,000 shades of warm to cool white, you can pick a tone depending on your mood. Begin your mornings with the energizing, bright white light or wrap up the day with the relaxing, warmer tones. Kick off the day with personalized routines:Use the Google Home hub to set up morning and evening routines, as you like. Once the routines are set, the screen will give traffic alerts, notify about your pending tasks, or even assist with recipes for a quick meal once you're back home. Setting up a smart home has never been easier. The Google Home Hub offers a 7 inch display that shares rich,visual responses to your everyday questions. You can also control all smart devices in your home, using the Google Home hub. This makes the Philips Hue White Starter Kit a great addition, as you can control and manage these smart lights easily using the Google Home mobile app. The Google Home Hub is the reliant, fun and efficient voice assistant you’re looking for. It is compatible with a wide range of smart home brands, making it a great option for your smart home. You can browse through all your smart devices seamlessly, using the display screen. For instance, if you’re streaming music with Google Home Hub and want to turn off the lights in the bedroom, all you need to do is say “Hey Google” and control your Philips Hue lights. Add some fun to your homes with the Google Home Hub and Philips Hue White smart lights. The Google Home Hub is not only a great voice assistant but can also be used as a digital photo-frame and wireless speaker. It will remind you of your daily schedules, meetings and even show you the fastest route to work. You can easily manage your Philips Hue bulbs and create customized lighting settings, depending on your preference. 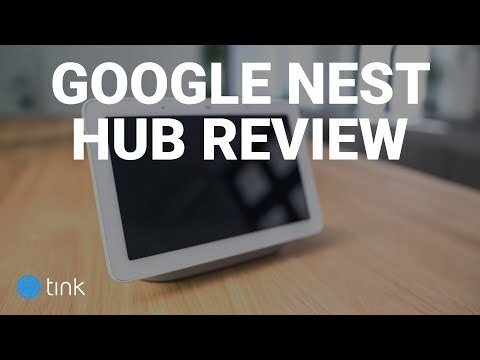 Just plug in the Google Home Hub and pair it with the Hue Bridge and its ready to go. The Google Home Hub display screen offers clear picture quality and a crisp sound output. The Philips Hue lights are designed to fulfill a range of lighting needs for your smart home. The Google Home hub app offers control and access to all the paired devices in your smart home. With the Philips Hue app, you can control the lights, set lighting schedules and pick themes for your home. With the Google Home Hub, you can control the Philip Hue lights in your home with simply your voice. The Google Home Hub functions as a voice assistant, digital picture frame and a wireless speaker. The Google Home Hub can detect your voice through noise and the Philips Hue lights can be controlled using the mobile app. The compact and lightweight design of Google Home Hub, make it travel friendly. The Philips Hue bulbs look like regular light bulbs, but offer so much more. Google is committed to protecting your data and ensuring privacy. The Home hub will only listen if the voice command ‘Hey Google’ has been used. Additionally, you can also mute the microphone by using a switch. If you're looking to start building your smart home, this bundle offers great value for money! Can I use the Google Home hub for streaming music and videos? Yes, the Google Home hub offers streaming options like Netflix, YouTube, HBO, Spotify and many more. Does the Philips Hue White starter kit include a Hue Brigde? Yes, there is Hue Bridge included in the Philips Hue White starter kit. How do I pair the Philips Hue Bridge and Google Home hub? This can be setup following by these quick steps. Open the Google Home mobile app, click on add new device, select philips hue, give permissions on the hue app and you're done!